Have you ever just felt really drawn to a particular color? As if the vibrancy spoke to you for some reason. Purple has been that hue for me as of late. I was not sure why, until now. 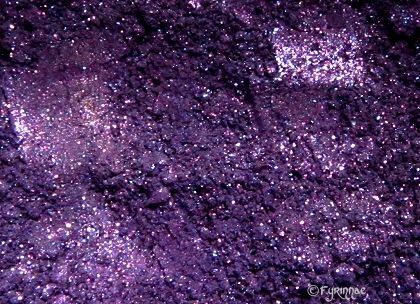 A week ago to date I plucked a deep, sparkly, purple bottle of nail polish from my bag and decided to go for it with this dark hue with glints of radiance as my last polish of toes for the season. Little did I realize that less than a week later the color would take on new meaning. The beautiful soul Nathalie, whom I wrote about in my last blog passed away. I did not know that her favorite color was purple. Nor did I realize that the community from which she came would rally and support her in remembrance through this very color. Her home school, other rival schools, and many, many more high schools would soon join in solidarity by wearing purple at all of their foot ball games this evening. It seemed like a simple choice, but now I realize, there was another reason. Perhaps a cosmic draw, or an unearthly reasoning, call it what you want. This seems to have happened more and more lately. I’ve always believed in E.S.P. My mother and grandmother had it first. I have it with my mom and my sister, and my husband with me. I think it occurs when you are open to the connectivity that you can have with those closest to your heart. Or perhaps it is the fact that trying to ground myself through yoga and meditation is allowing me to be more open to this world, my body, and those around me. What is your color draw right now? Is there a metaphorical meaning or a spiritual connection? Breathe deep, release, and see where it takes you. Purple is in the air! That sounds like a great color for a door, I wanna see a picture!! I love those moments! 🙂 Thank you for reading!! Hello, Rachel Ann! Just clicking around the blogosphere and commenting on blogs that I think are fun and interesting, and you’re one of them. October is my birthday month, so consider this an invitation to my month-long birthday party. Hope to see you over at That’s So Jacob sometime! Ciao for now! I celebrate a birthday month too! 🙂 Hahaha! Birthday months UNITE! I shall pop over and have a read! Thanks for stopping by! Great color! 🙂 Thank you for stopping by and reading!! I hope Nathalie is now in a peaceful place! Keep writitng 🙂 Ciao!